DrDee: I have an LG smartTV with the latest firmware. It DOES NOT have adverts, it does not have the menu option to turn off adverts. The indicated area that displays adverts as shown in the OP link (which is a UK TV and UK based article) just shows a standard LG logo on mine and does not change ever. reven: personally I just think its the times we live it, it really doesnt bother me all that much. as long as there is some restrictions to what the collect. But showing me relevant ads compared to completely rubbish ones, im fine with that. I'm not. If I pay for a TV I see no reason for it to start forcing ads on me, relevant or otherwise. 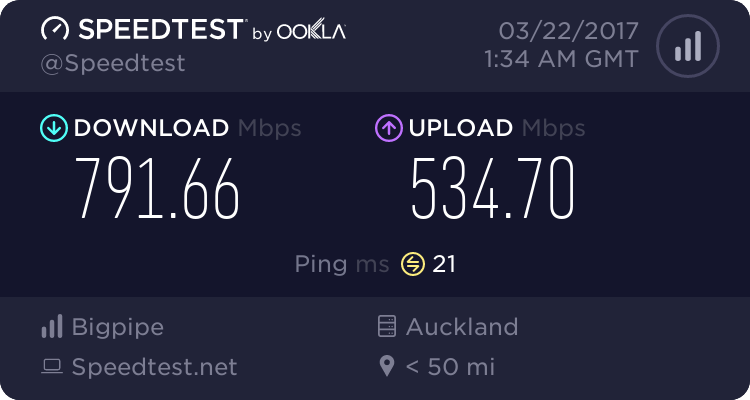 I haven't seen any ads on our E6 though, so I'm not sure if this is happening in NZ. Wherever it is occurring, I think it's pretty rude. The difference is GZ is ad supported, and we know and understand that that is the quid pro quo for using a service offered at no charge. Like listening to the radio or (shudder) watching TVNZ's "news". I pay for my TVs and that is how the manufacturers get remunerated. They have no business sneaking in ads etc on top of that. It's analogous to the person you brought your house from deciding they have the right to subsequently break in and attach a giant advertising billboard to your bedroom wall. They have no business sneaking in ads etc on top of that. It's analogous to the person you brought your house from deciding they have the right to subsequently break in and attach a giant advertising billboard to your bedroom wall. But its not happening in NZ, unless maybe the 2014 models will introduce it? But .... still not a good thing for LG to do as a company to any country! lg are the twits introducing a (relatively) small curved screen oled tv ? If you are wondering why your LG TV's limited recording ability is even more limited by not having a decent schedule, "our TVs support the MHEG5 Freeview Guide (as required for Freeview certification), this does not currently interface with the LG Time Machine scheduling system. In Australia it is a little bit different as I understand they broadcast the data in the standard EIT format which is more easily translated into the scheduling system. We are working with our local product manager and HQ to get this feature implemented for NZ however I have no firm information to share at this stage." I get the impression that unless it affects Australia nothing much will happen. Bung: If you are wondering why your LG TV's limited recording ability is even more limited by not having a decent schedule, "our TVs support the MHEG5 Freeview Guide (as required for Freeview certification), this does not currently interface with the LG Time Machine scheduling system. In Australia it is a little bit different as I understand they broadcast the data in the standard EIT format which is more easily translated into the scheduling system. We are working with our local product manager and HQ to get this feature implemented for NZ however I have no firm information to share at this stage." Off-topic, but a similar problem with Panasonic E6 TVs. The Australian model E6 can schedule timer recordings to USB, but I was told by Panasonic that the NZ variant cannot due to the format our FTA broadcasts and that it would require a different tuner card. It can do One-Touch Recording which is not exactly convenient. JimmyH: I pay for my TVs and that is how the manufacturers get remunerated. They have no business sneaking in ads etc on top of that. It's analogous to the person you brought your house from deciding they have the right to subsequently break in and attach a giant advertising billboard to your bedroom wall. Not really. You paid for the TV, but do you pay a subscription for the online service LG provide to that TV? It's a similar situation to ads on PSN or Xbox Live IMO. Provided the ads stick to menus and never appear over content, I have no objection to them. I would object to any advertising on menus. Ads on their online apps, online portals, webpages, etc, is a different story, but I wouldn't buy a TV that displayed adverts on system menus and/or info screens, etc. What online service? I was under the impression that the TV just had connectivity with the ability to install apps from other content providers that let you access their services (Netflix, Youtube etc). I wasn't aware that LG was providing any channel of their own, or indeed any online service at all. Plus, even if they are, that doesn't give them the right to surreptitiously collect information on me (especially with a bogus "disable" function to fool me) and/or bombard me with ads that I haven't agreed to and can't disable. JimmyH:What online service? I was under the impression that the TV just had connectivity with the ability to install apps from other content providers that let you access their services (Netflix, Youtube etc). I wasn't aware that LG was providing any channel of their own, or indeed any online service at all. Yes, but they still need to maintain servers that give you access to the apps, and presumably do compatibility testing etc, not to mention provide firmware and app updates. It's not zero cost to LG, and they could just switch it off when your warranty runs out. My LG is currently displaying a small ad for lgappstv.com and has been from the last firmware update, so fair to say it's a "dumb" ad and not based on my usage. I won't say it makes the menu screen prettier, but it's not a dealbreaker in my next TV purchase decision. JimmyH:Plus, even if they are, that doesn't give them the right to surreptitiously collect information on me (especially with a bogus "disable" function to fool me) and/or bombard me with ads that I haven't agreed to and can't disable. User tracking is a separate issue and one I'm in full agreement with you on.